Locking yourself out of the house or car is not something you would wish to happen to you. But unfortunately this happens all the time. Since people today are always occupied, it is very easy to forget your car keys inside your car or lock yourself out of the house. It is something that you can’t control. The most important thing for you to do is to find a better way of dealing with this situation when it happens to you. Thankfully, there are several ways to deal with different lockout problems. For instance, you can simply hire a company that offers professional locksmith services. Finding a qualified locksmiths is no longer a problem since there are so many of them in the industry right now. The good thing about professional locksmith services is the fact that they are well-versed with different techniques of dealing with lockout problems. Therefore you are assured that they will give you the best solutions to your problem. If you are looking for an expert who can help you with lock picking, you can easily find one. The only task you have to do is to search for the best locksmith. 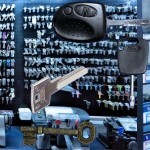 Even though there are numerous locksmiths in the industry, not all of them can give you the kind of services you want. Some of them are mere amateurs who just need to make money. These amateurs lack the needed qualifications and experience to offer these services. You should therefore be careful not to fall prey to these proletarians. When you are looking for locksmith services in Adelaide, there are several important considerations you have to make. For starters, you have to ensure that the person you hire is experienced. They should have enough ideas on how to handle different lock out problems. This requires you to check the person’s level of experience. Make sure that they have handled similar tasks before. This will give you peace of mind knowing that the person you are dealing with has the needed expertise and experience to deal with the problem effectively. It is also important to ensure that the person you choose has the right tools for the job. They should also be able to provide you with locksmith services whenever you need them. The good thing is that you can now find qualified locksmiths at http://www.portlocksmiths.com.au/. These experts offer 24 hour mobile locksmith services to all clients in Adelaide.